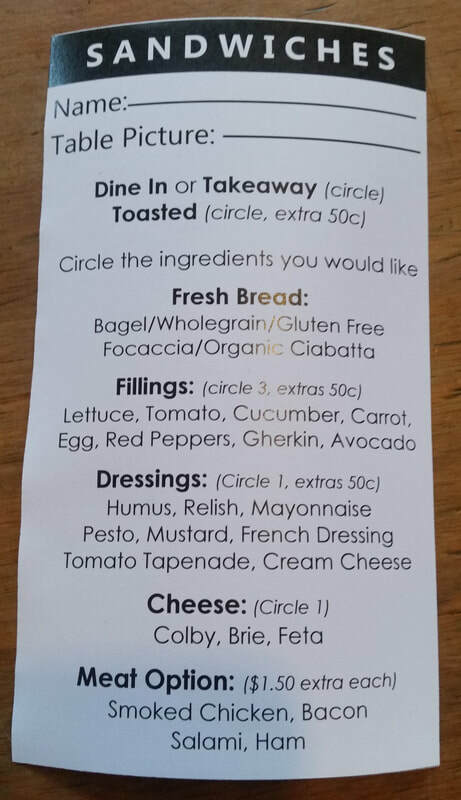 MOMENT have a brunch style menu with vegan labelled options. BUNSEN have a few vegan labelled options on their menu and in their cabinet. No. 186 CAFE have labelled vegan options on their menu. KITCHEN in New Brighton have vegan options in the cabinet and on the menu - just ask as they are not labelled. Menu items may include dhal w. rice, soup, mushrooms on toast, falafel souvlaki, bircher muesli, etc. ​C1 have labelled vegan options in their cabinet and on their menu. They always have a vegan muffin - the flavour of which changes daily. After 3pm they serve mini sliders & curly fries delivered in a pneumatic tube at 100km/hr! They also have a great tea selection & drinks menu. Open late. ​COFFEE CULTURE have branches all around Christchurch and beyond. Depending on the branch you'll find a selection of labelled vegan options such as: pies, Buddha balls, soups, bagels, salads, slices, bliss balls, cakes, muffins, peanut butter cups, scrolls, smoothies, etc. Open late. PEDRO'S CAFE have vegan options are available, located inside the XCHC. GENTLE GIANT is a brunch style cafe with vegan options - just ask. ​PENELOPE'S BAKERY/CAKERY have many labelled vegan options, both sweet & savoury. They also do whole vegan cakes to order. CLAUDE'S KITCHEN has lots of vegan options, such as: pies, sandwiches, cakes, slices, paninis, soup, muffins, etc! Ask the friendly owners to point out the options. They also do whole vegan cakes to order. HELLO SUNDAY is a popular brunch spot with labelled vegan options on their menu. NOTE: CURRENTLY CLOSED FOR RENOVATIONS... SUPREME SUPREME have a few vegan options on their menu. They do awesome coffee too. BEAR LION have several vegan options such as: vegetable/grain salads, cakes & biscuits. THE HERB CENTRE labels all vegan options with a green dot. VIC'S CAFE & BAKERY have vegan options available on request. They have "design your own" sandwiches, fresh fruit salad (ask for no yoghurt), toast & spreads, baked beans on toast, etc. Vic's bake all their own breads and you can buy their fresh loaves in store. Note: Some of their breads contain animal products so please ask for vegan options. ADDINGTON COFFEE CO-OP have vegan options, such as individual cakes & some breakfast/brunch menu items... Just ask! GRE3N SUPERFOOD & JUICE BAR have vegan options such as: smoothie & acai bowls, fresh juices, smoothies, wraps, slices, buddha bowls, etc. They currently have 3 branches around the city. They are more "grab and go" style but do offer some seating. NATVE CAFE have multiple labelled vegan options on their menu, as well as a couple of vegan items in their cabinet.